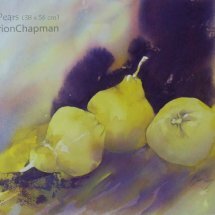 Come along and enjoy painting in watercolour in a relaxed supportive environment. Pay as you go. Thursdays 10 am - 12 pm $40 casual rate, limit of 6 participants. •	support boards to fit your paper, palette, water spray bottle, pencil & rubber, masking tape and masking fluid if you like using it.